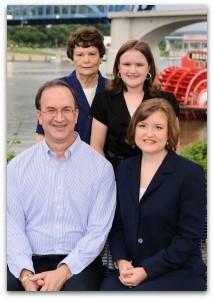 Tracts, Inc., is a gospel tract ministry located in scenic Chattanooga, Tennessee. The ministry began in 1973 when Thomas R. Porter was led by the Lord to write his first gospel tract. The ministry now has several designs for adults and children including bookmarks and door hangers. The Romans Road gospel tract is available in English, Spanish, Portuguese, and Cebuano. Tracts, Inc., provides gospel tracts to individuals, churches, and missionaries and supplies gospel tracts for mission trips. Tracts, Inc., has earnestly prayed over each gospel tract, and although each tract theme is unique, we strive to make sure each design covers the only way to heaven by the death, burial, and resurrection of Jesus Christ, who is God the Son, and the blood of Jesus, sinful man, heaven and hell, and the love of God. Tracts, Inc., was highlighted in the Chattanooga Times Free Press in August 2001 and in the Church News section of the East Brainerd Community News in January of 2008. We invite you to see and read each tract design.